New Delhi [India], May 21 (ANI): Canadian tennis star Milos Raonic, who is currently battling with a knee injury, has withdrawn from the second major of the season--the French Open. London [U.K], May 21 (ANI): Spanish tennis maestro Rafael Nadal returned to his lost number one spot in the latest Association of Tennis Professionals (ATP) rankings released on Monday. Rome [Italy], May 17 (ANI): World number two Rafael Nadal continues his quest for the record-breaking eighth Rome Masters title when he locks horns with Canada's Denis Shapovalov in the last-16 of the men's singles event here on Thursday. Madrid [Spain], May 11 (ANI): World number one Rafael Nadal and Austria's Dominic Thiem will renew their clay-court rivalry when they lock horns in the quarter-finals of the Madrid Open here on Friday. London [U.K], May 7 (ANI): Croatian tennis maestro Marin Cilic, who made an early exit from last week's Istanbul tournament, has slipped to the fifth spot in the latest ATP Tour rankings released on Monday. London [U.K], April 30 (ANI): Spanish tennis maestro Rafael Nadal continues to remain at the top spot as the latest men's world top 10 rankings remained unchanged. New Delhi [India], April 26 (ANI): The All India Tennis Association (AITA) has decided to recommend the names of star shuttlers Rohan Bopanna and Yuki Bhambri for the prestigious Arjuna Award. London [U.K], April 24 (ANI): German tennis maestro Alexander Zverev surged up by a place to stand at the third spot in the latest ATP men's singles rankings released last evening. 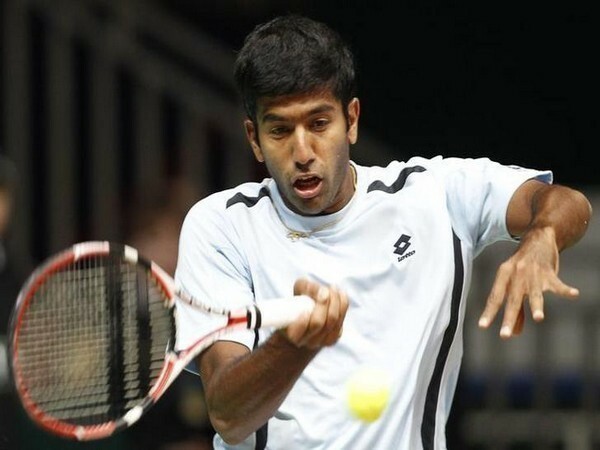 Barcelona [Spain], April 24 (ANI): Indian tennis ace Rohan Bopanna and his French partner Edouard Roger-Vasselin are aiming to kick-start their campaign at the Barcelona Open on a promising note at the opening match of their men's doubles event here on Tuesday. London [U.K], April 23 (ANI): After picking up his 11th Monte Carlo Masters title by beating Japan's Kei Nishikori in the finals, world number one Rafael Nadal has said that he is looking forward to carry on his momentum from this 'special' win to rest of the clay-court season. Monte Carlo [Monaco], Apr. 22 (ANI): World Number one Rafael Nadal defeated Japan's Kei Nishikori by 6-3, 6-2 in the Monte Carlo Masters final won his 31st Masters title after beating Sunday.